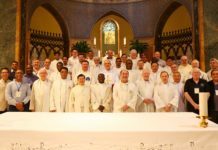 (New Jersey, USA) A meeting of the Conference Assembly for North America took place October 30th – November 1st, 2018 at San Alfonso Retreat House, Long Branch, New Jersey. 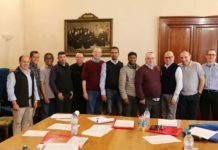 Present were the Mike Brehl, C.Ss.R., Superior General, Jeffrey Rolle, C.Ss.R., General Consultor, Jack Kingsbury, C.Ss.R., the Coordinator of the Conference and the members of the Assembly. One of the first tasks was to elect a new member to the Conference Council. John Fahey, C.Ss.R. was elected. The Conference Council now consists of John Sianchuk, C.Ss.R., Jacques Fortin, C.Ss.R., Dominic Long, C.Ss.R. and John Fahey, C.Ss.R. The Assembly reviewed the most recent draft of the Conference Formation Ratio. Suggestions were made, and the draft was put back into the hands of the Conference Secretariat for Formation for more revisions. The Assembly received a report on the Partnership in Mission activity by Dr Anne Walsh who is the director of this ministry. She also presented a draft of the by-laws of the PIM Secretariat which were approved. The job description and budget for the Director of Conference Communication were discussed and approved. The confrere to be assigned is Charlie Wehrley, CSSR of the Denver Province. The Office of Communication will be established in Washington, DC and is expected to begin in the summer of 2019. Father General addressed the Assembly about his recent participation in the Synod of Bishops. His reflection was a perfect preparation for our discussion of the Missionary Priorities concerning young adult ministry. The Assembly then did an analysis of the Wounded World in preparation of the discussions on the draft of the Apostolic and Restructuring Plan. 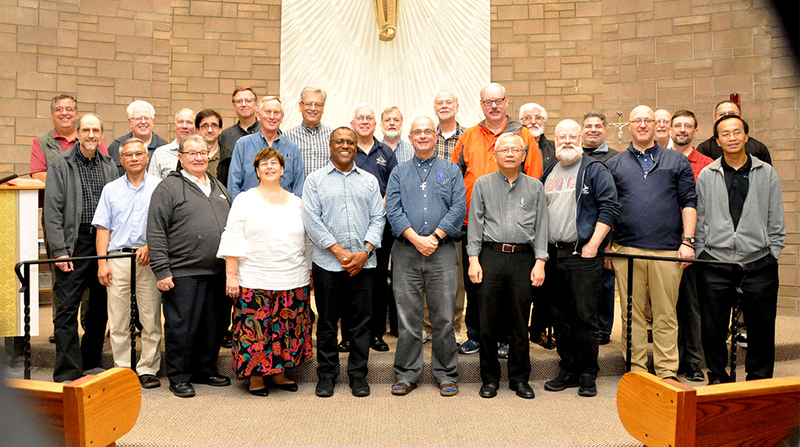 The Assembly spent an entire day making amendments and additions to the Apostolic and Restructuring Plan which was then approved as a “working document” to be presented to the units in North America for discussion at their Chapters, Assemblies or Convocation’s. It was noted that the working document is very broad in naming its priorities. 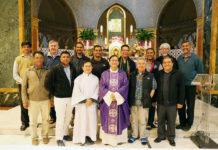 This is because it is meant to stir discussions within the Conference around specific issues and the appropriate details will need to be worked out in each particular pastoral setting. The meeting concluded with Father General’s blessing.